The Dutch footwear brand Bullboxer has already been placed by us in German fashion magazines with a wide reach – mainly women’s magazines. To increase the popularity of the men’s collection, we have now initiated an Instagram campaign based on male influencers. 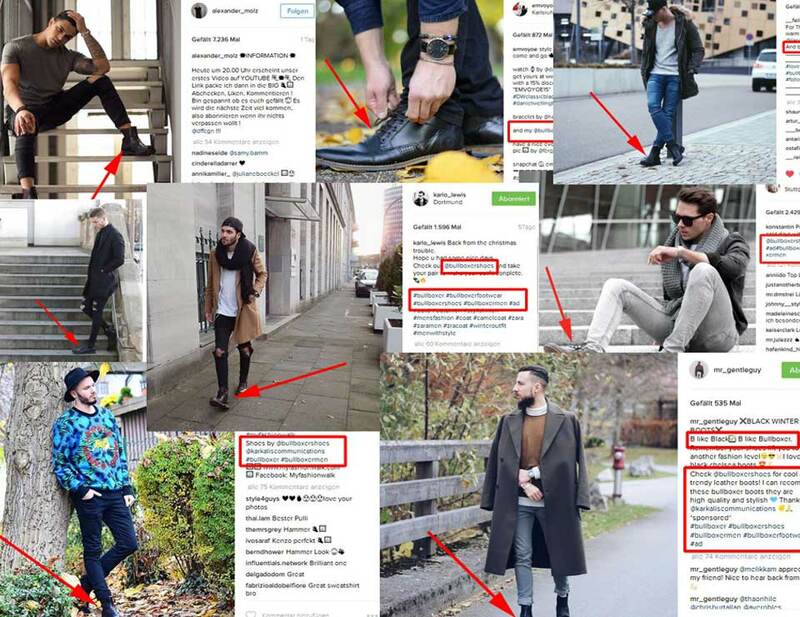 12 of Germany’s male Instagrammers with the widest reach were invited to select the models they liked best in the current collection and to showcase their favourite footwear on Instagram. The result after 10 months: 94 postings with a reach of over 5 million, and 123 reposts with a reach of nearly 10 million. In total, we have thus reached 15 million Instagram users. To be continued: further exciting cooperative ventures are planned with Bullboxer Gents are coming soon.